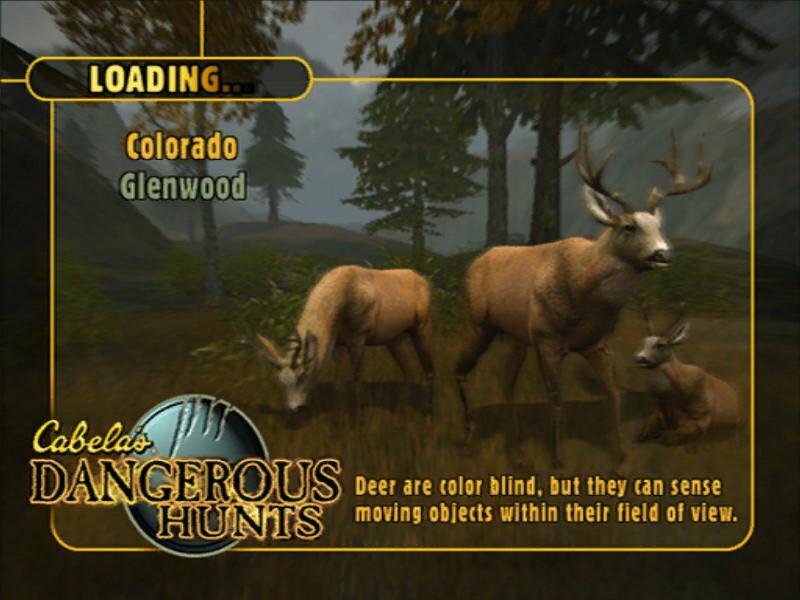 Wow, a hunting game without crappy graphics! 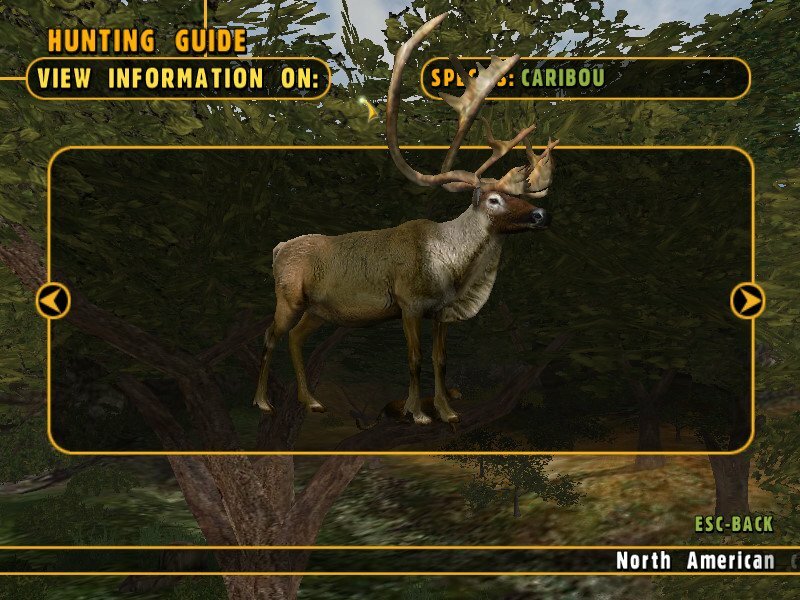 If there’s one commonality between hunting games, is that they’re pretty far removed from their gaming betters. 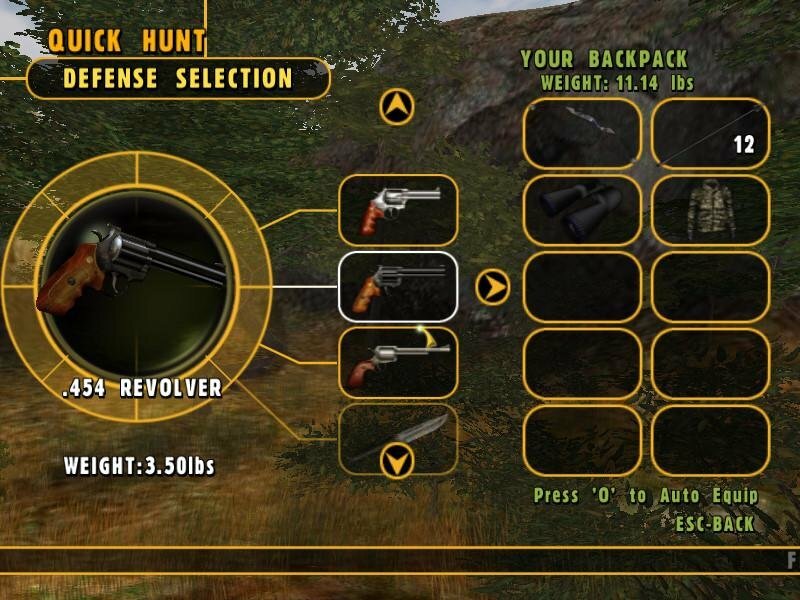 They should have a lot in common with tactical shooters, but are almost always poorly programed, suffer from terribly designed controls and are plagued by a dysfunctional interface. 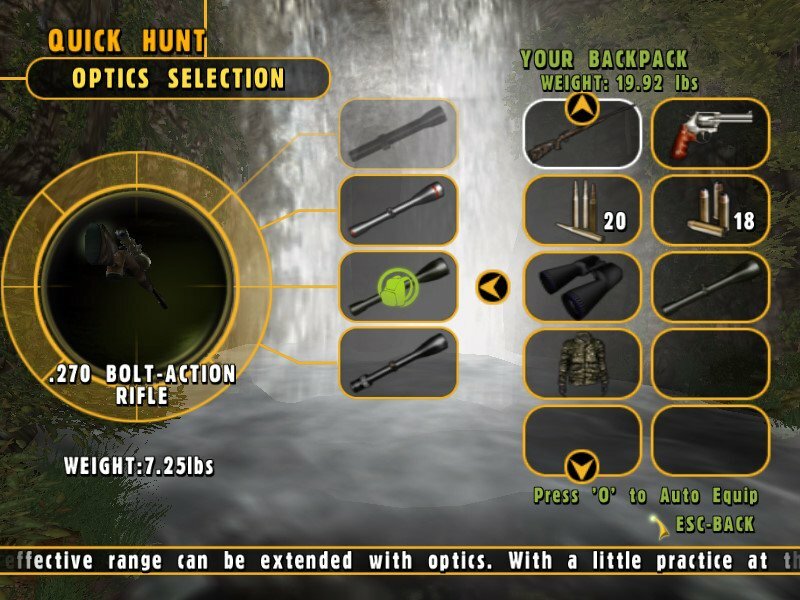 While actually looking good, Dangerous Hunts sports many aspects found in everyday shooters, including the default WASD keys for movement, left-clicking to activate the scope function and a menu interface that is clear, friendly and good-looking. 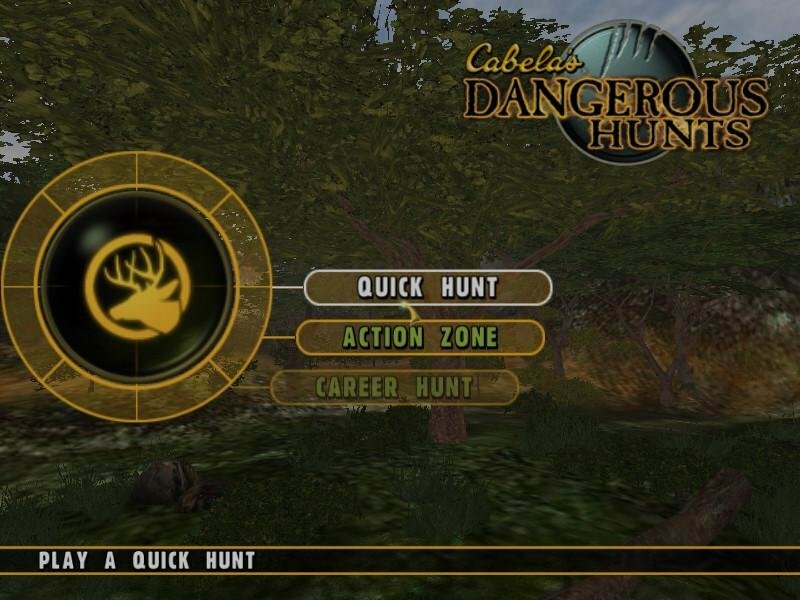 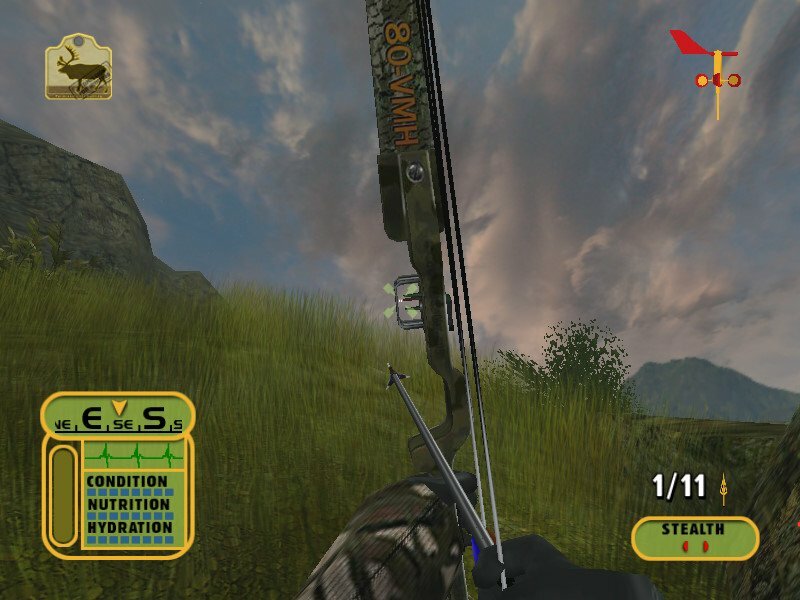 The game sports three modes of play – quick hunt and career hunt and the new feature, action zone. 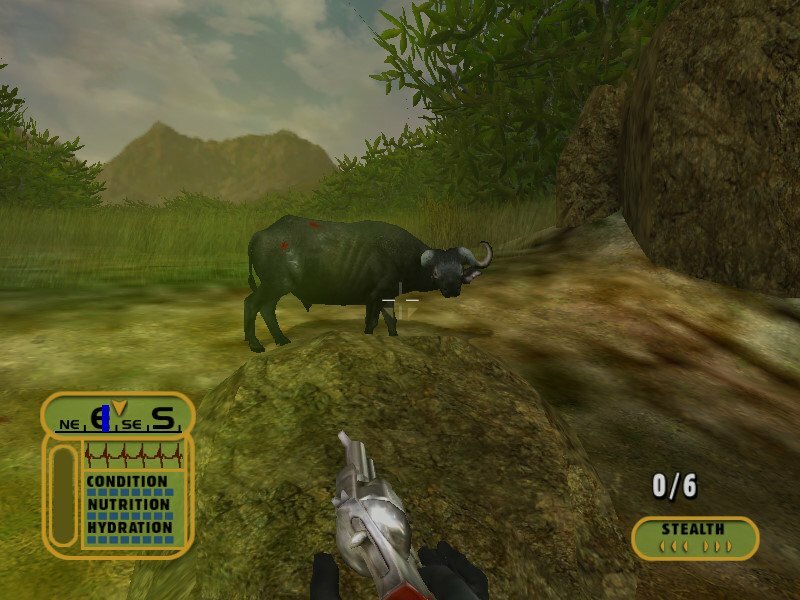 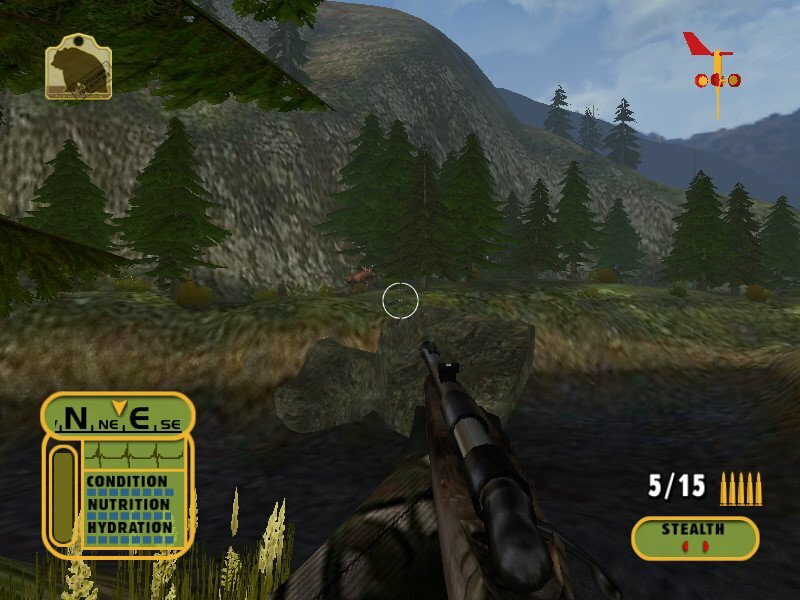 In action zone your avatar is ported to a remote area and you are the target of the hunt, by an assortment of wild animals. 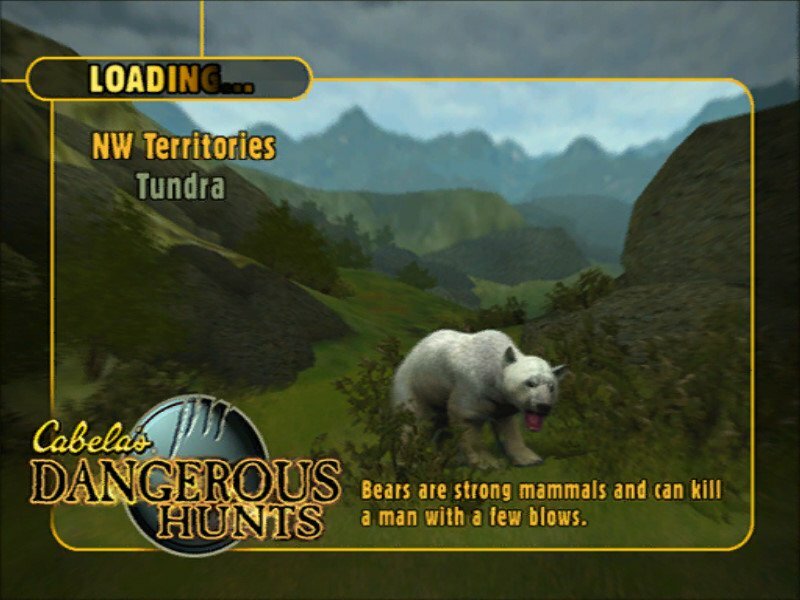 The idea is to progress from area to area, and kill all the wild beasts that are trying to eat you. You are not given much in the way of weaponry, and basically have to stalk and bring them down without them getting too much in your face. 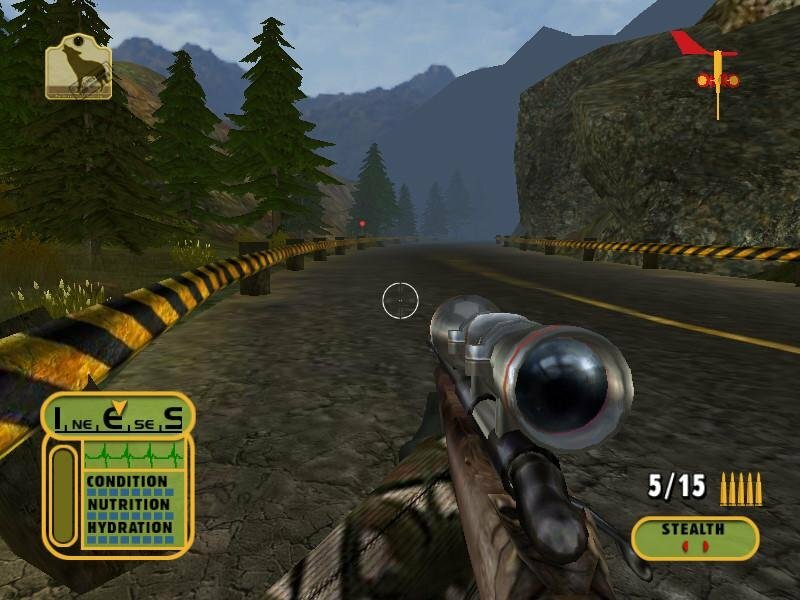 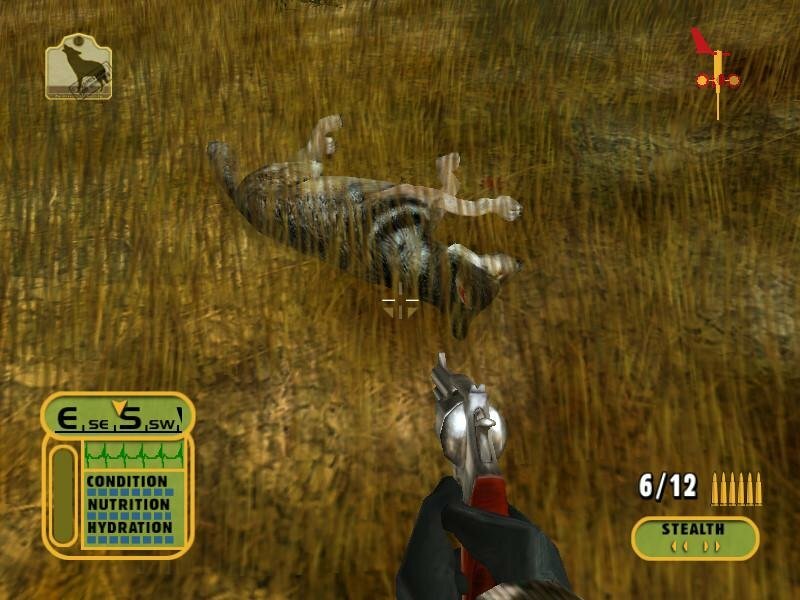 The game does have a nice array of features including 27 big game animals to hunt, 12 locations, and plenty of weapons such as sniper rifles, shotguns, revolves, knives and hunting bows, all with their highs and lows as far as power, accuracy, weight and noise. 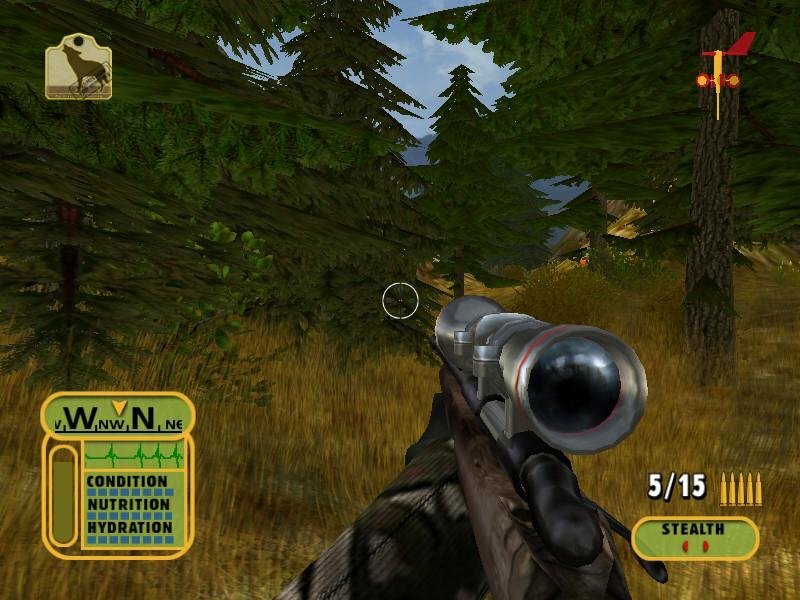 The game has a light RPG aspect to it. 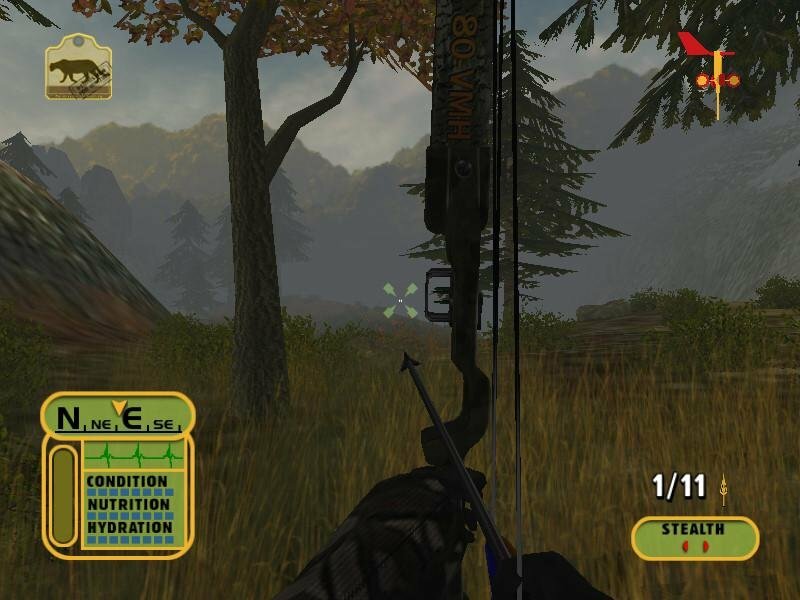 While the characters you can pick have certain distinguishing attributes that pertain to stealth, targeting, or woods savvy, there are basic body types that can be customized in terms of outfitting. 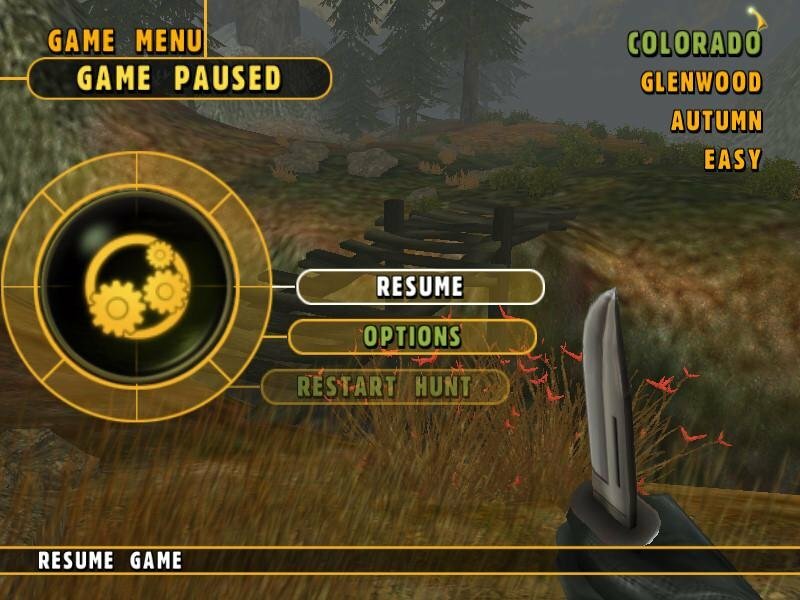 This is a title that closely mirrors the PS2 release of November 2003. 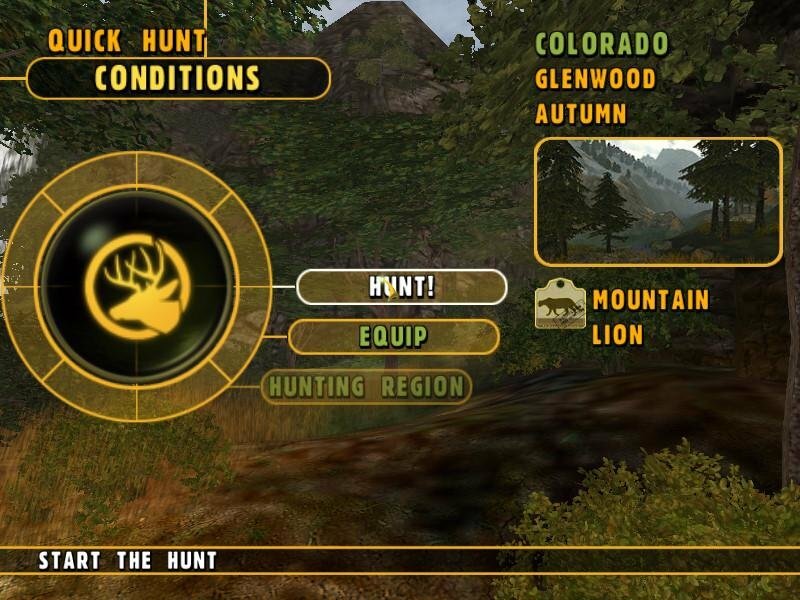 The controls for this title are very easy to use, and credit must be given to developer Fun Labs for porting this game and making it accessible.